On this episode of the Fanboy Garage, we open the garage with a spoiler-free preview of SHAZAM! After getting a chance to see the movie nearly two weeks in advance, we unpack our thoughts on the film while avoiding any juicy goodness. From there, we dive into some of the controversial comments coming from director, Zack Snyder, after hosting fans at the Snydercon screening. Beyond commenting about some of his other non-superhero movies, he stirred the controversy bucket by sharing his vision for Justice League and his thoughts on superhero/fanboy ideals. Catching up a bit on news from a couple of weeks ago, we discuss the reinstatement of James Gunn as the director for the upcoming Guardians of the Galaxy: Vol. 3 before quickly talking about the soon approaching release of Avengers: Endgame. To close the show, we briefly highlight our excitement for the Disney/Fox merger now that deal was struck and the impact it will have on the industry. If you like what you’re hearing and have something more to say, be sure keep the conversation going by tweeting us @TheFanboyGarage or stalk our pictures on the gram at The Fanboy Garage. 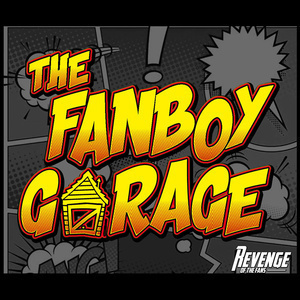 Or you can email us directly at TheFanboyGarage.com to ask questions, listen to previous episodes or check out the latest merchandise (there’s even a Star Wars inspired tee). You can support the show by leaving us a five-star review and don’t forget about our Cancer Awareness Campaign coming soon.